The Earth’s changing climate could cause the extinction of up to a third of its parasite species by 2070, according to a global analysis reported Sept. 6 in the journal Science Advances. Parasite loss could dramatically disrupt ecosystems, and the new study suggests that they are one of the most threatened groups of life on Earth. Parasites have an admittedly bad reputation. The diverse group of organisms includes tapeworms, roundworms, ticks, lice, fleas and other pests—most of which are best known for causing disease in humans, livestock and other animals. But parasites play important roles in ecosystems. They help control wildlife populations and keep energy flowing through food chains. Despite their critical contributions to ecosystems, parasites have drawn less attention from conservation biologists than more charismatic creatures. Until now, they have largely been left out of studies of climate change and its impacts, says the study’s lead author Colin Carlson, a graduate student in Wayne Getz’s laboratory at the University of California, Berkeley. 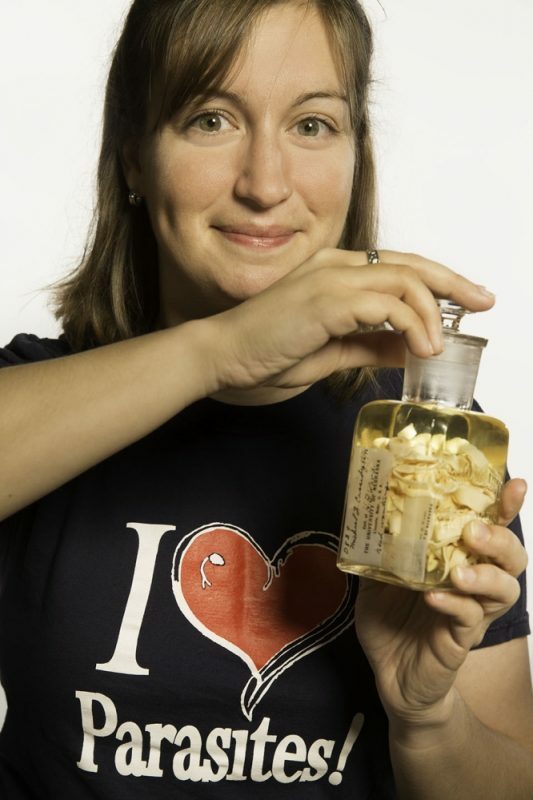 To find out how climate change is likely to affect the survival of a wide range of parasite species, Carlson and colleagues turned to museum collections. 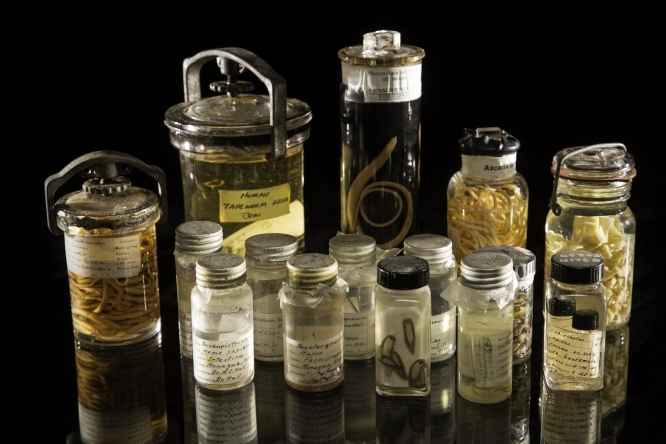 The U.S. National Parasite Collection, an expansive set of worms, fleas, lice and other parasites, provides a broad and deep record of different species’ occurrences around the world. 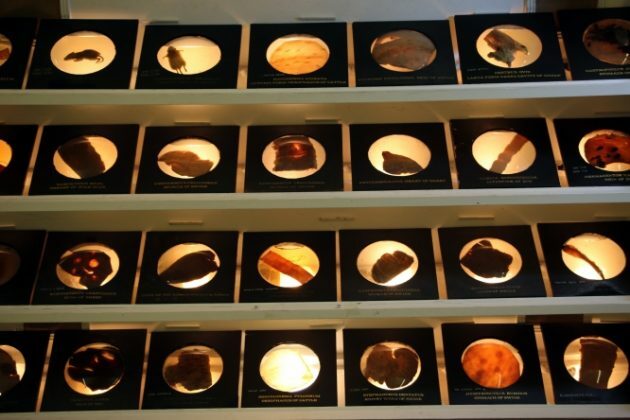 The still-growing collection began in 1892 and now contains millions of organisms. Most species are represented by many specimens, meaning researchers can use the museum’s records to investigate organisms’ geographical distributions and predict changes over time. Before they could begin their analysis, the research team needed to know exactly where each specimen came from so they could understand each species’ habitat needs. In recent years it has become standard to pinpoint a specimen’s original location with GPS coordinates in collection records, but the locations associated with older specimens tend to be less precise. So the team, which included 17 researchers in eight countries, spent years tracking down the exact geographical source of tens of thousands of parasite specimens, adding GPS coordinates to their database wherever possible. That information was essential for the current study and will also aid in future research. Once the geospatial information was complete, the data could be used to make predictions about how parasites will fare as the Earth’s climate changes. Using climate forecasts, the researchers compared how 457 parasite species will be impacted by changes in climate under various scenarios. The analysis determined that parasites are even more threatened than the animal hosts they rely on. The most catastrophic model predicted that more than a third of parasite species worldwide could be lost by 2070. The most optimistic models predicted a loss of about 10 percent. “[Slowing climate change] has a really profound impact on extinction rates, but even in the best-case scenario, we’re still looking at fairly major global changes,” Carlson says. Parasites need to be included in conversations about conservation, and this study highlights their delicate position in complex ecosystems, the scientists say. “Parasites are definitely going to face major extinction risk in the next 50 years,” Carlson says. “They are certainly as threatened as any other animal group.” To share what they’ve learned, the team created an online parasite “Red List” that identifies the extinction threat level of each species in their study. Much of conservation biology focuses on single species, but it is important to keep in mind the goal of conserving ecosystems as a whole. “As long as there are free-living organisms, there will be parasites. But, the picture of parasite biodiversity in 2070 or beyond has the potential to look very different than it does today based on the results of these models,” Phillips says. Funding for this study was provided by the University of California, Berkley and the Natural Sciences and Engineering Research Council of Canada.